Resting on New Zealand’s shores are some of the oldest rocks known to man; over 500 million years old. 85 million years ago, the two islands of Aotearoa broke away from the massive super continent of Gondwanaland. They rested on top of two tectonic plates, the Pacific and the Australian. The North Island and part of the South sit on the Australian plate while the rest resides on the Pacific. Between the two is a spine of mountain ranges, full of crystal clear glacial lakes and rolling farmland among the foothills. By finding its resting place at the meeting point of two huge sections of the Earth’s crust, New Zealand has earned its name as one of most active tectonic areas on the planet. As many as 80 earthquakes each day occur throughout the country, equating to nearly 20,000 in one year. The majority of these rank between 4.0 - 4.9 on the Richter scale, with every one to two years a 7.0 – 7.9 expected. Earthquakes aren’t the only tectonic movements across the two islands. New Zealand is littered with active volcanoes, many of which have a very high frequency of eruptions. From large volcanoes in the country to ones amongst populous cities, there are all kinds of volcanoes spanning New Zealand. The North Island is home to many of Aotearoa’s most famous volcanoes. Volcanic calderas stretch from Mt Ruapehu through to Taupo, Rotorua and out into the Bay of Plenty. It is in this area that New Zealand’s most active volcano is found. Rotorua is a geothermal attraction all by itself. The small town has a host of hot springs and geysers to keep you entertained for days. However, something even more impressive lurks just off the coast. 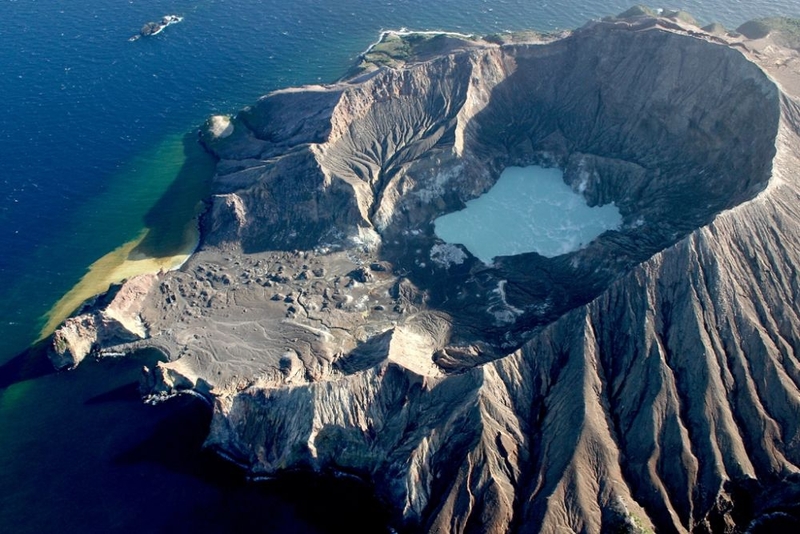 48km off shore in the Bay of Plenty is Whakaari, otherwise known as the White Island. Marking the end of the Taupo Volcanic Zone, Whakaari is an oceanic volcano cone which has been built up by continuous volcanic activity over the past 150,000 years. Over the past four decades Whakaari has become the most active volcano in the country, with its most recent eruption being in August 2013. The uninhabited island is about 2km in diameter with 70% of the cone beneath the waves of the Pacific. Te Puia o Whakaari, meaning ‘to make visible’ has had continuous eruptions for decades. On occasion, ash and gas plumes rose as high as 10km with lava bombs being hurled in to the surrounding sea. Despite its distance from the mainland, the red hot glow could be seen from the Bay of Plenty coast. In the past, the island has been a source for sulphur mining. In 1914, 11 miners were killed by a debris flow during an eruption and, by 1930, mining on the island had been completely shut down. With its 'A' grade level of scientific importance, the island today attracts geologists, volcanologists and tourists from all over the world. Due to its location, it is said to be the most accessible active volcano on earth, which means it has also become one of the most studied. It has also become a great place to visit while in the area. Visiting a volcano as active as Whakaari is a unique and inspiring experience. Despite the incredibly harsh environment, White Island is a scenic reserve and is home to a huge number of birds including a large gannet colony. 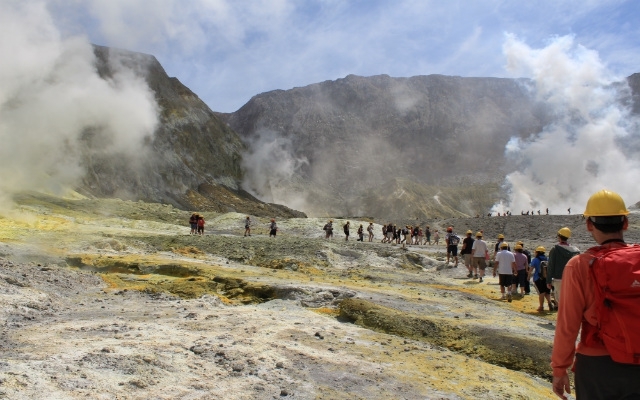 Many travellers are attracted to the shores of White Island each year to take up the chance of walking upon an active volcano. 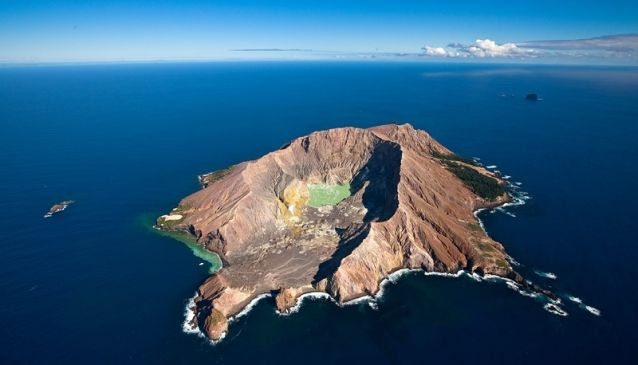 White Island Tours offer a great tour to the island which gives you the chance to walk on the island itself and experience the sulphuric atmosphere first-hand. As you step from the boat onto its shores, a dark, dusty and smoky environment greets you, one which has been likened to stepping foot onto the moon. Trained tour guides provide a brilliant in depth circuit of the island. Departing from Whakatane Wharf, the boat trip across to the island takes 80 minutes and includes commentary the whole way, getting you ready for the island itself. The crew take safety on the island very seriously, with everyone given safety gear on the boat, including a gas mask and a hard hat. The terrain on the island is very dusty and rugged so we recommend wearing strong walking boots and trousers. The boat drops anchor just offshore and you will be ferried the remaining distance via an inflatable rib. Once on shore, the crew will guide you around White Island passing all of the main attractions. 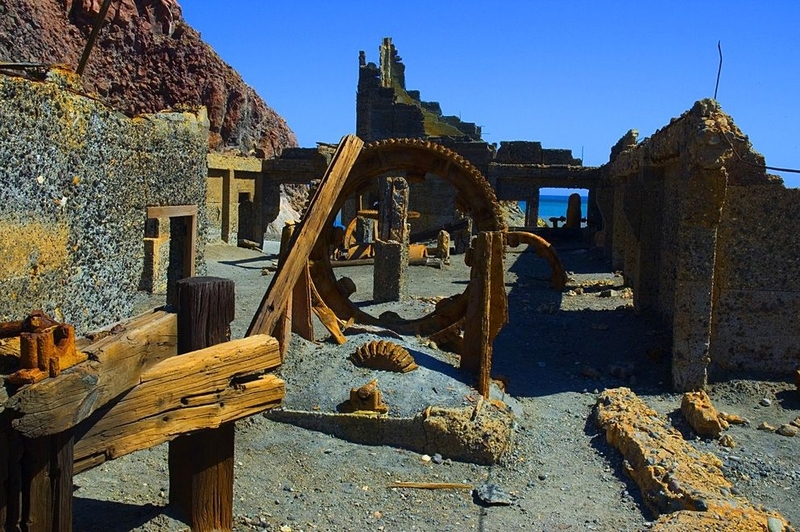 You will have the chance to walk through the remains of the old sulphur mining factory and get really close to some of the beautiful bright yellow sulphur crystals. The main attraction on Whakaari is the crater itself. Your crew will guide up to the crater’s edge, giving you a fantastic, one-of-a-kind view down into the Earth below. From here, you will be able to feel the awesome natural power from below the Earth’s crust. Watch in awe as the crater’s lake hisses and roars as its eerier steam rises up. It is an incredible sight and is certain to leave you with a renowned respect for the power of Mother Nature. 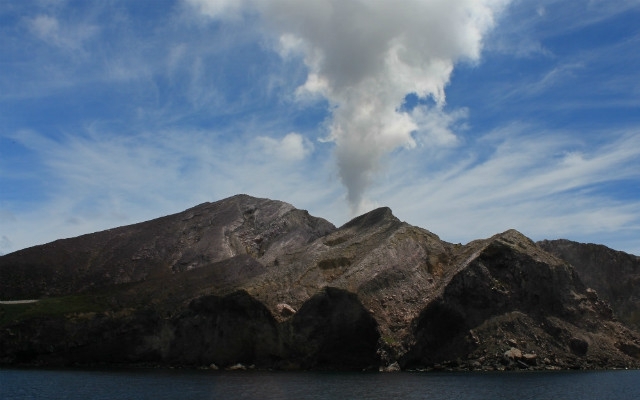 The island is unique, New Zealand’s only live marine volcano which attracts experts and scientists from across the globe. Set in the clear blue water of the Pacific, it is a stunning location to feel close to the awesome natural power of the planet.